I've only been to Mustang Island State Park once. It's an 18-mile long barrier island down on the Texas Gulf Coast. Padre Island is to the south. Port Aransas is just to the north. Well, what's left of it. I remember riding into the park, parking my bike, and the ranger warning me that mosquitoes were bad that year. And she was more than right. I camped behind the dunes, and those little buggers pert near drained me dry. A family next to me was having a good time, cooking food, playing; the husband running around without his shirt. They obviously had stronger Off than I had on. Around midnight, I strolled out onto the beach. The moon was full, and a slight breeze was coming in from the Gulf. I found a place to put down my sleeping bag and slept the night away. 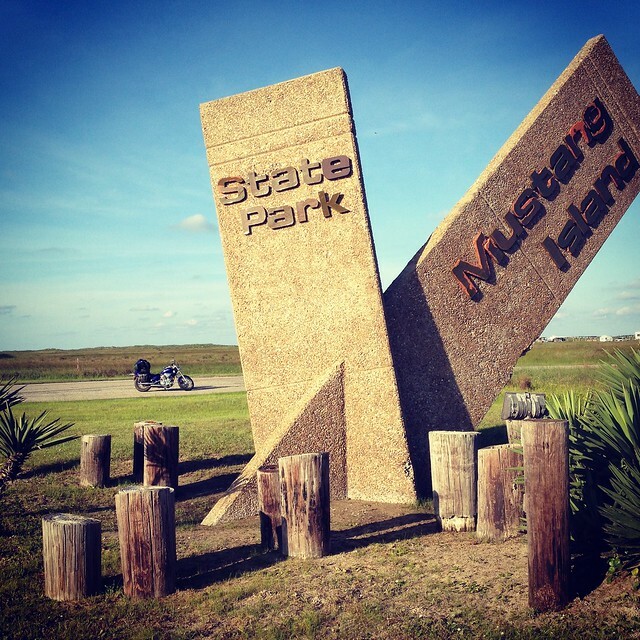 Mustang Island is now closed due to damage from Hurricane Harvey. There's no telling when it'll open again. Someday, I hope to go back.